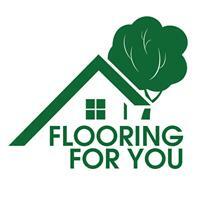 Flooring For You - Carpets/Flooring based in Havant, Hampshire. We believe Flooring For You is one of the South's leading flooring companies. Specialising in supplying and fitting all kinds of flooring, from Laminate Flooring, Solid Wood Flooring & Engineered Wood Flooring. Flooring For You now offer a wide range of floor restoration services. From period flooring to commercial restoration we offer services to repair, replace or simply clean and polish. With our modern and efficient machinery like our dust free sanders we are able to produce the best results. We can also search a wide range of carefully selected reclaimed materials such as Georgian oak, elm as well as flagstones and Victorian tiles for use in your floor restoration project. Contact us today on 07970 036004 or visit http://www.flooringforyou.net & fill out our Online Form to get the flooring you desire installed with care and perfection you deserve.